Week One, Day Three | (m)EAT LESS, RUN MORE! Just a brief recap today as I’m exhausted. 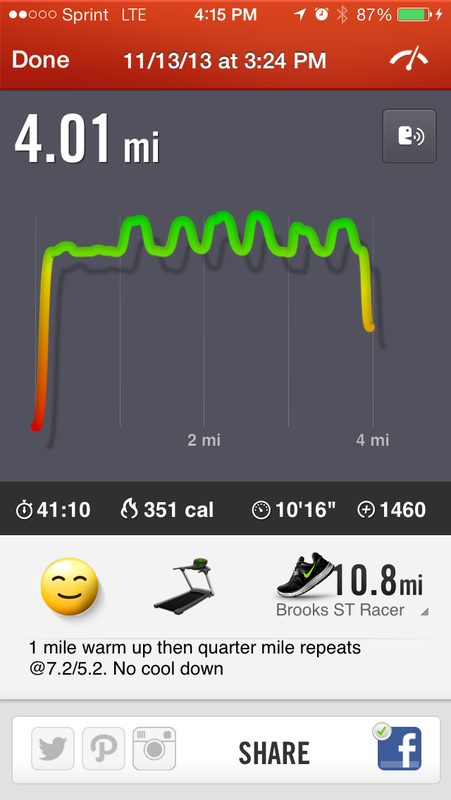 Workout: 4 mile run: 1 mile warm-up (5.2mph) then quarter mile repeats (at 7.2/5.2mph) for 3 miles. No cool down. By the way, the Tahini Lime Sauce is like magic sauce and tastes great on all kinds of stuff! Just combine everything really well and store in an airtight container. A serving is 2 Tbsp and is about 60 calories. I believe this recipe came from Peas and Thank You.